There is plenty to do and see in and around Watchet. Maybe you are the active type who wants to explore the wilds by foot, bike and horseback. For the more relaxed take in the gardens, grounds and heritage that the area has to offer. 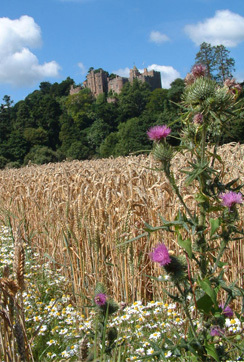 Exmoor and the Quantocks are a walkers paradise. Rolling hills and moorland with dramatic views. Exmoor has over 600 miles of tracks and bridleways. Dunster Castle, Knighthayes Court, Hestercombe Gardens and Cleeve Abbey are all within a short drive of Croft Holiday cottage in Watchet, Somerset. For those who prefer to sample an area through their taste buds then they won't be disappointed with excellent range of superb local food and drink that the area has to offer. 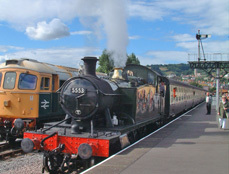 The west Somerset railway is 21 miles of restored heritage track line which runs restored steam and old locomotives. With 10 stations along the track it is an ideal way to explore the area. Watchet station is on a short walk from Croft Holiday Cottages.